A couple days ago, the "Spoils of War" update arrived for World of Tanks and, in addition to a number of improvements, a handful of new co-op missions have been added to the game. These missions take place across three chapters with a different protagonist for each one. 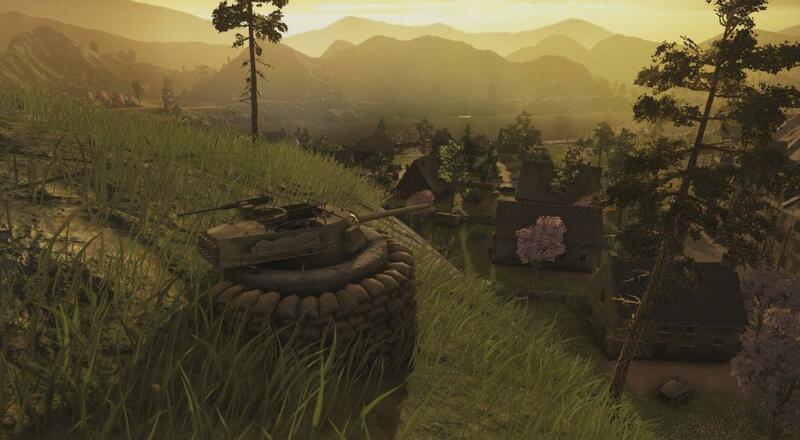 While the primary focus of World of Tanks is its PvP mode that pits a 15 players against another 15 players, the console version of the game added a strictly PvE co-op mode in the form of the "Proving Grounds." Two players can team up online and work together to make their way through four different co-op scenarios. With the "Spoils of War" update, new co-op activities have now been added with the "War Stories" missions. These missions put players into an alternate history where World War II is still raging on. Each mission puts the players into the shoes of a different hero: the German Captain Karl Staupe, the American Sergeant Frank Martinez, and the Soviet Captain Anatoly Petrov. Interestingly, the Karl Staupe story also introduces a new mechanic to the game, tower defense. The "Spoils of War" update is available now for the PlayStation 4 and Xbox One versions of World of Tanks.